The South-Eastern Norway Regional Health Authority (Helse Sør-Øst) aims to profile ongoing excellent research in the region by calling special attention to selected annual research project reports. 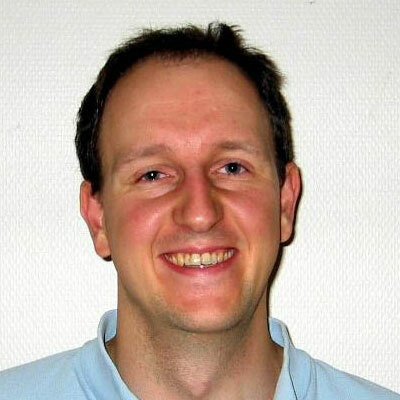 This week’s highlighted research project is: "From Cilia to Cytokinesis – Impact of Centrosome Dysfunction in Cancer beyond Cell Division" headed by Sebastian Patzke from the Molecular Radiation Biology group (Trond Stokke) at the Department of Radiation Biology at the Institute of Cancer Research, Division of Cancer Medicine, Surgery & Transplantation, Oslo University Hospital. The project aims at a deeper molecular understanding of the consequences of centrosome aberrations in human cancer and developmental disease. The centrosome gives rise to the cell’s antenna (primary cilium) and orchestrates the segregation of chromosomes during cell division. The project uses the Centrosome/Spindle Pole associated Protein 1 gene (CSPP1) as a starting point. CSPP1 is frequently amplified and over-expressed in human cancer. Germ line mutations in this gene result in primary cilia abnormalities and classical Joubert syndrome. 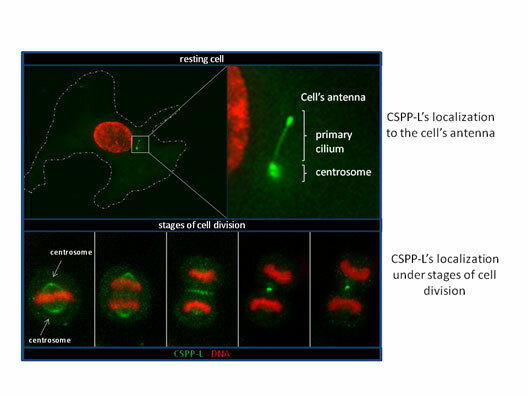 CSPP1 proteins are required for primary cilium formation and involved in cell division. The molecular function of CSPP1 proteins in the processes of cilia formation, cell division and cell polarization is studied in human cell line models, and the significance of CSPP1 de-regulation is investigated in human breast cancer. The detailed characterization of CSPP1 gene and protein expression in human breast cancer defined clinically and biological distinct subtypes of the poor prognosis patient group of basal-like breast cancer. This work was performed in collaboration with the Department of Genetics and Pathology (Oslo University Hospital) and Carlos Caldas (University of Cambridge) and published earlier this year in British Journal of Cancer.